SUGAR LAND, TEXAS ( August 29, 2016) The New Britain Bees connected for three run in the seventh inning and went on to down the Sugar Land Skeeters by the score of 3-0 in Atlantic League baseball action at Constellation Field on Monday, August 29, 2016. It was the third loss in a row for Sugar Land as they continue to lead the Freedom Division by three games over the York Revolution. Sean Gallagher was credited with the loss; his eighth of the season, while Mike Lee received the win, his second in 2016. Gallagher struck out ten batters in the effort; a season high for the right hander from Leander, Texas. Sugar Land connected for five hits, but could not get any runs across home plate. The series continues of Tuesday evening, August 30, with a 7:05 p.m. CDT first pitch. PASADENA, TEXAS (August 29, 2016) These are the Week 2 Texas high school football rankings for Division 5A as complied by the staff of TexSport Publications. The rankings will come out every Monday morning. PASADENA, TEXAS (August 29, 2016) These are the Week 2 Texas high school football rankings for Division 6A as complied by the staff of TexSport Publications. The rankings will come out every Monday morning. Lamar Miller (26) scores for the Houston Texans. HOUSTON, TEXANS (August 28, 2016) The Houston Texans exploded for three touchdowns in the third quarter as they downed the Arizona Cardinals by the score of 34-24 in the third preseason game of 2016 for both teams. The 71,515 fans in attendance at NRG Stadium witnessed the Texans go to 3-0 in preseason play while the Cardinals fell to 0-3. Houston is now 2-2 in pre-season against the Cardinals dating back to 2007 with the three previous matchups being played in Arizona. The last time the two teams met, the Texans fell to Arizona by the score of 32-0 on August 14, 2016. In the second quarter, the offensive flood gates opened for the Texans, as they scored three touchdowns, along with the extra points, to jump out to a 31-10 lead at the half. Arizona managed to score a 38-yard field goal by Catanzaro, but other than that, the Cardinal offense was dismal at best. Houston kicked off the second quarter with an interception by linebacker John Simon. The Ohio State Buckeye product returned the interception 59 yards at the 14:08 mark. Houston added seven more points on a 26-yard pass from Osweiler to rookie Will Fuller for the score. As usual, Novak kicked the extra point, as he did after the final score of the half. With 1:01 remaining until the break, Tom Savage, who took over quarterback duties from Osweiler after the Fuller score, marched the ball 81 yards in six plays for the score. He connected with wide receiver Jaelen Strong on a 17-yard pass to close out scoring in the first half. Osweiler left the game after completing 11-of-13 passes for 146 yards, two touchdowns and a rating of 139.1. The Cardinals cut the Texan lead to 31-17 in the third quarter when backup quarterback Matt Barkley found Jaxon Shipley open in the end zone; connecting for a five-yard touchdown pass. The drive lasted 7:35 and covered 81 yards in 15 plays. They added an additional touchdown and extra point in the fourth quarter to close out their scoring for the game. Novak booted a 42-yard field goal with 24 seconds left in the game to give the Texans their 34-34 win. The Texans will have three days to prepare for their final preseason game against the Dallas Cowboys. Houston will travel to Arlington to face Dallas at Cowboy Stadium on Thursday, September 1, with a scheduled 7 p.m. CDT kickoff. The Texans kickoff the regular season on Sunday, September 11 with a 12 noon CDT matchup against the Chicago Bears. The Texans will have to cut to 75 players by Tuesday, August 30 at 3 p.m. The final cut to 53 players will occur on Saturday, September 3 at 3 p.m. The last day the Texans can claim players off waivers is Sunday, September 4 at 11 a.m. They may begin signing players to the practice squad one hour later; 12 noon on Sunday, September 4. HOUSTON, TEXAS (August 27, 2016) The battle for El Capitan came down to a winner take all match on Saturday, August 27, 2016, with the Houston Dynamo coming up short in a 3-1 match that saw FC Dallas score two goals within a minute or each other a third 20 minutes later claim the Texas Derby and the right to take the 19th century Mountain Howitzer cannon back to Frisco. The near capacity crowd at Houston’s BBVA Compass Stadium watched yet again they prized trophy head to Dallas for another year. 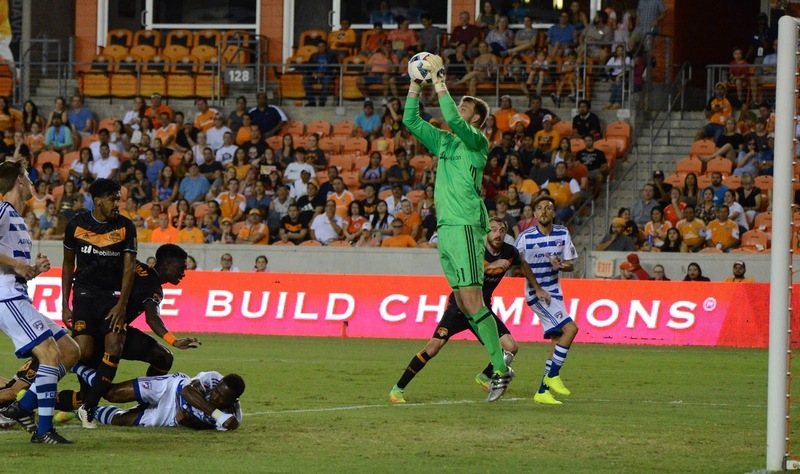 Previously in 2016, the Dynamo took a 5-0 win over Dallas on March 12 at home and battled to a one-all draw on June 2 at Toyota Stadium in Frisco, Texas. The 3-1 win secured the series for Dallas. 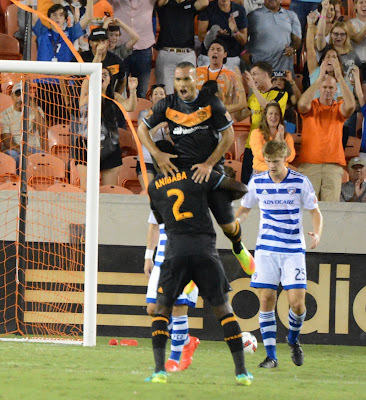 evened the score 59th minute and took the lead in the 60th minute when captain Mauro Diaz drilled his penalty kick past Joe Willis, with the Dallas midfielder going one way and the Dynamo goalkeeper going the other. One minute later, defender Maynor Figueroa fed midfielder Michael Barrios the ball and as a result, knocked it over the head of a charging Willis and into the net. They added an insurance goal on the 79th minute on a cross net shot from inside the box by Barrios. The Dallas win dropped the Dynamo all-time series record to 10-9-8 with Dallas winning five of the last eight games; with one draw. Dallas has now taken the Texas Derby series six times with, along with the last four series. Houston controlled five of the first seven season beginning in 2006. ALVIN, TEXAS (August 27, 2016) Even mother nature couldn't resist showing up for the season opening showdown on Friday, August 26, 2016 between the No. 6 Manvel Mavericks and No. 9 Crosby Cougars. After a hour rain delay at Alvin Memorial Stadium, both top ranked teams took the field to kickoff the 2016 high school football season. And what a kick off it was, Crosby received the kick and on the first snap of the game senior quarterback Mannie Netherly, took the ball 71 yards for the first touchdown. Crosby would miss the extra point leaving the score 6-0. Netherly, who is also a standout receiver pledged to LSU, passed for a total of 171 yards and would also rush for 92 yards. Netherly threw two touchdown passes and one interception. Junior Craig Williams would receive a TD pass on a 14 -play drive in the second quarter and junior Cedric Patterson III would get a 24-yard TD pass in the fourth quarter for Crosby. Manvel also debuted a new quarterback, junior Kason Martin. In a stellar 28 point second quarter, Martin threw for a total of 233 yards, three touchdown passes and one interception. One of the passes in the 2nd quarter was an impressive 85 yard catch and run touchdown by junior Jalen Preston. Preston would also run for an 11 yard touchdown on the following drive. After an action packed first half Manvel lead Crosby 35-14. Manvel’s defense made its presence known throughout the whole game, shutting down Crosby’s running backs and racking up a total of three sacks on Netherly. Lance Bryant, Xavier Rosette, and Kobe Foster all got sacks for Manvel. Both teams will have to spend some time this week working on penalties. Twenty-six combined penalties were given for a total of 282 yards. The only score of the second half would come with 5:35 left in the game. Netherly would find Patterson for his second touchdown pass bringing the final score at Memorial Stadium to Manvel 35, Crosby 21. While both teams had struggles with penalties, they also had successes in their new quarterbacks. Both teams look prepped for great seasons of district play. Next week Manvel heads to North Shore and Crosby takes on Houston Reagan. Former Huskies forward to play for the Dublin Meteors. 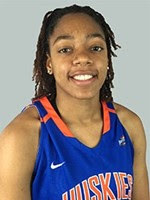 Neal played at HBU from 2012-16, finishing her collegiate career 11th on HBU’s all-time scoring list with 888 points, eighth with 560 rebounds and 14th with 49 blocked shots. This past season, the San Antonio native wrapped up her Huskies career by averaging 12.7 points and 7.3 rebounds. To follow Neal this season visit the website of the Dublin Meteors: at meteorsbasketball.com. PASADENA, TEXAS (August 26, 2016) The grueling hours began in early May. There were ice packs, aching muscles and hidden tears of frustration. All the hard work carried over into the summer, with conditioning skills to prepare the bodies for the coming season. Thursday, August 25 arrived. It was finally game time. These athletes waited patiently for the horn signaling their turn on the field. 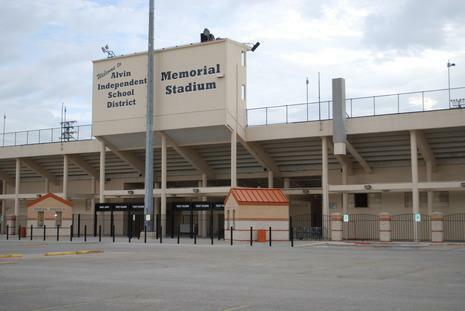 The scoreboard read: ClementsRangers 30, Sam Rayburn Texans 0, and then their game began. You see, they compete during the game within the game; also called halftime. 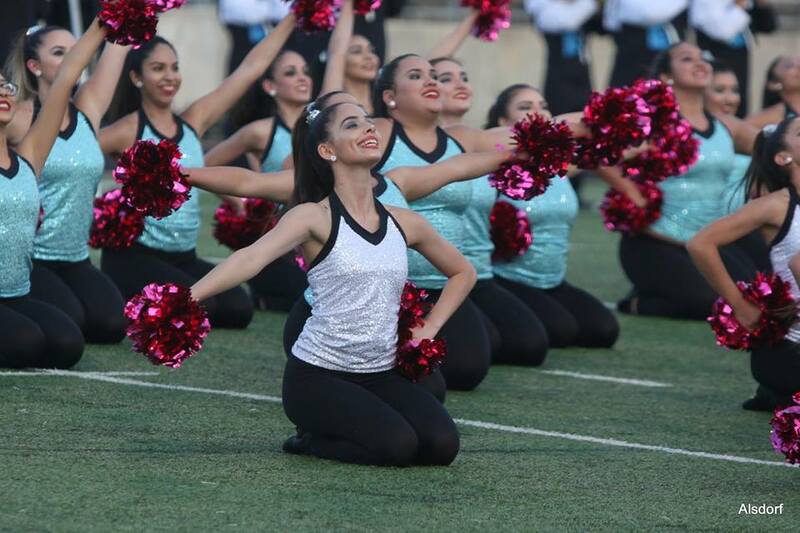 The Sam Rayburn TexAnns are a group of 50 young ladies that also happen to be conditioned athletes. They strut onto the center of the field to a 50-year tradition. The Mighty Texan Band serenades the officer line with “They’re Playing Our Song”. The rest of the team joins the officer formation for the performance. Their field pom routine lasts less than five minutes, but months of preparation go into those moments. They have waited since May for their debut under the lights. These ladies are coached by a team of home grown talents; LaNeese Lehrmann Gareri and Tracey Neal Klingler, both members of the SouthHouston Janettes during their youth. Between them, they total over 25 years serving as an assistant or director. They know the game as well as any fan. They can identify a formation problem on the line of scrimmage and during the halftime show as well. Ms. Gareri has twice been director of a team that danced during halftime of a state championship game. She has also been the mom of a varsity football competitor, and supporter of a middle school athlete. Mrs. Klingler serves as mom to a current varsity softball and volleyball coach, a collegiate football player, and a high school volleyball stand-out. She is also spouse to a current varsity football coach. Their preparation and investment for this evening is quite impressive. The resume of every dance director in Pasadena I.S.D. is equally stellar. 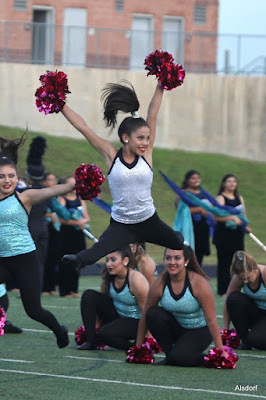 through the air during the TexAnns' performance. After a sizzling pom routine the TexAnns leave the field with that "trademark" smile. The applause shows the crowd was impressed. Was the routine absolutely perfect….probably not. The dancers are aware of the little gaffes and the directors see the areas that require improvement. There were no yellow flags on the field, however there were minor infractions that will cause adjustments. They will look at film and relive the routine, pledging not to repeat the tiny mistakes on their next attempt. All along you thought this game was just about the warriors of the gridiron. However there are so many other students representing with grit and determination. Cheerleaders, band and color guard, JROTC, and even student athletic trainers; all displaying a logo and doing a yeoman’s job. Each of those organizations have a bevy of school personnel and loving family members serving as their entourage. Back at home the members of the volleyball team have finished their own practice and anxiously await their own opportunity that will occur Friday evening. Finally, just after 9 p.m. on a school day that started at 7:05 a.m., we are ready to load those buses and travel 45 minutes back home. The final score was 30-7. The Texans were finally able to cross the goal line during the fourth quarter, but unable to match the first half total of the Rangers. In spite of the disappointing point total all students leave the stadium as excellent representatives of Sam Rayburn High School and Pasadena I.S.D. 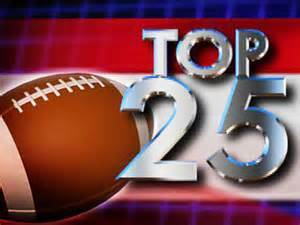 PASADENA, TEXAS (August 22, 2016) TexSport Publications will be posting our Top 25 rankings for both 6A and 5A divisions in Texas high school football in 2016. The rankings will come out on Monday morning. Listed below is our preseason ranking for the 5A division. PASADENA, TEXAS (August 22, 2016) TexSport Publications will be posting our Top 25 rankings for both 6A and 5A divisions in Texas high school football in 2016. The rankings will come out on Monday morning. Listed below is our preseason ranking for the 6A division. HOUSTON, TEXAS (August 21, 2016) With the additions of quarterback Brock Osweiler, running back Lamar Miller and wide receivers Will Fuller V and Braxton Miller, Saturday night’s game at NRG Stadium was a night of first for these players and more who will play instrumental roles in both the success and failure of the Houston Texans this season. All of those players first ever NRG Stadium touches along with some of the key team firsts are chronicled here. Quarterback Brock Osweiler wearing number 17 on his back for the first time as the leader of the Texans at NRG Stadium had an inauspicious beginning against the New Orleans Saints. Lined up in the shotgun wearing the steel blue jersey, the young quarterback’s first play from scrimmage was an incomplete pass to wide receiver DeAndre Hopkins. Two plays later he recorded the first of his 12 completions on the night with a four yard pass to running back Lamar Miller. Having run his first three plays from scrimmage in the shotgun, Osweiler’s first under center resulted in his in only sack of the evening at the hands of Saints’ defensive tackle Nick Fairley for minus four yards. On the same series though, the strong-armed signal caller completed his first pass of 10 plus yards to tight end Stephen Anderson at 12:09 of the first quarter on a third and six fromand the New Orleans 35 yard line. Osweiler would hook up with rookie wide receiver Braxton Miller for the first time at NRG on an 11 yard pass play from the New Orleans 30 on second and long. On the very next play, it was Osweiler to rookie Will Fuller connecting not just for their first pass play at home but the first scoring connection of the night as well. The 19 yard strike capped the first home scoring drive by the Texans in 2016. Running back Lamar Miller received his first home touch as a member of the Houston Texans on their second play from scrimmage picking up two yards. On the very next play, the 25 year old who arrived in Houston as a free agent caught his first pass out of the backfield for a four yard gain. 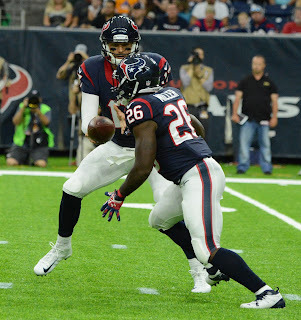 Miller picked up the first rushing first down of his career at NRG on the team’s third series of night as he picked up four yards on a second and three from the Houston 18 yard line. Wide receiver Braxton Miller made his first NRG reception at a most opportune time on Saturday night. With his team facing second and 18 from the New Orleans 30, the rookie from Ohio State caught a wide receiver bubble screen picking up 11 yards along the way. Wide receiver Will Fuller, amid high expectations coming out of the University of Notre Dame, delivered in his first game in front of the more than 71,000 in attendance catching a 19 yard touchdown pass from quarterback Brock Osweiler on his first target of the night. On the defensive side of the ball, Brian Cushing got the first home tackle along with fellow linebacker John Simon as they tackled Saint running back Mark Ingram after a two yard gain on New Orleans first play of the night. Whitney Mercilus recorded the first Texans sack of 2016 at NRG dropping quarterback drew Brees for a six yard loss with 1:03 left in the opening quarter. Right cornerback, Jonathon Joseph snagged the Texans first NRG interception of 2016 ending the Saints first drive of the night. 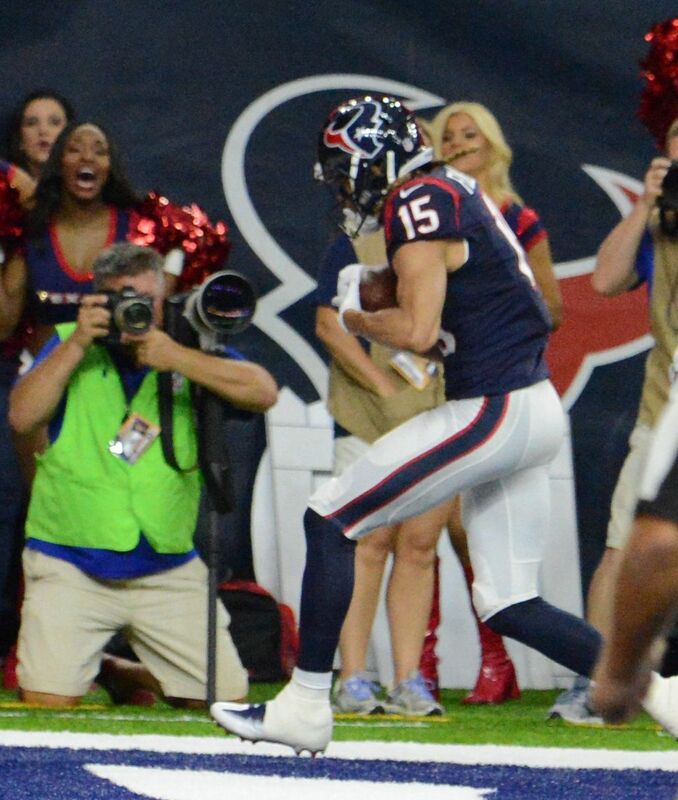 Special teams played a key role in the Texans win on Saturday night over the Saints. Not only did Nick Novak convert his first PAT at NRG this season but it was a special teams play by Brian Peters forcing the fumble recovered by Jonathan grimes that led to the Texans first score. Novak also added field goals from 46 and 49 yards respectively. on a 19-yard pass from Brock Osweiler. HOUSTON, TEXAS (August 20, 2016) The Houston Texans went to 2-0 in preseason with a 16-9 win over the New Orleans Saints at NRG Stadium in Houston on Saturday, August 20, 2016. The Texans are now 5-4 against the Saints in preseason action. Last season, Houston downed New Orleans by the score of 27-13 at the Mercedes-Benz Superdome in New Orleans in preseason action. In the regular season, the Texans came away victorious in Week 12 by the score of 24-6 at NRG Stadium. The Texans won the coin toss and elected to receive to start the game. After three-and-out, Houston punted with the following punt return fumbled by New Orleans. The Texans recovered; giving them great field position on the Saints’ 39-yard line. Quarterback Brock Osweiler engineered a six play, 39-yard drive that ended with a 19-yard pass to rookie wide receiver Will Fuller. Kicker Nick Novak split the uprights for the extra point to give the Texans a 7-0 lead with 9:37 remaining in the first quarter. The Texans added three additional points to their total early in the second quarter when Novak booted a 49-yard field goal at the 14:47 mark. Osweiler continued to play well into the second quarter, when head coach Bill O’Brien decided he was finished for the evening. At the 4:58 mark in the second quarter, Tom Savage took over quarterback duties for the Texans. Osweiler completed 12 passes, on 19 attempts, for 124 yards and one touchdown. He was also intercepted once. The Texans closed out the half with another Novak field goal; this time a 46 yarder to cap a seven-play, 56-yard drive. After some back-and-forth play during the majority of the third quarter, New Orleans was finally able to get on the scoreboard with 3:23 remaining in the third quarter when Kai Forbath kicked a 33-yard field goal. The score capped 62-yard drive for the Saints. They added two field goals in the fourth quarter when Forbath kicked a 37-yarder at the 11:18 mark and a 27-yarder with 10:07 remaining in the game. Houston closed out the game scoring with a 36-yard Novak field goal with 1:55 left in the game. Savage came off the bench and completed 7-of-12 passes for 75 yards while Brandon Weeks was 4-for-4 and 54 yards. Fuller caught four passes for 73 yards and the touchdown, followed closely by Braxton Miller with three completions for 34 yards. The Texans will now have eight days to prepare for a Sunday, August 28 matchup against the Arizona Cardinals. The game is set for a 3 p.m. CDT kickoff in Houston. The Cardinals are 0-2 in preseason following a 31-10 loss to the Oakland Raiders on August 12 and a 19-3 loss to the San Diego Chargers on August 19. SUGAR LAND, TEXAS (August 19, 2016) The Sugar Land Skeeters erupted for 14 hits in the middle innings and as a result, downed the Long Island Ducks by the score of 9-5 at Constellation Field in the Houston suburb of Sugar Land, Texas on Friday, August 19, 2016. The win pushed the Skeeters’ record to 27-15 in the second half of Atlantic League play. The win was their sixth in a row and their ninth in the last eleven games. The Ducks jumped out to a 5-0 lead after two innings; scoring three in the first and two in the second. The Skeeters finally got on the scoreboard in the third inning when catcher Wilfredo Rodriguez connected on a 3-2 pitch for his fifth home run of the season. Second baseman Josh Prince added a second run for Sugar Land when shortstop Ricky Hague singled to make the score 5-2 after three innings. In the fourth inning, the Skeeters’ bat exploded; scoring four runs. Right fielder Jeremy Barfield added a run to Sugar Land’s total on a Prince single. Center fielder Rene Tosoni added three RBI to his season total when he doubled; scoring Prince, third baseman Lance Zawadzki and Rodriguez. At that point, the Ducks pulled starter Daniel Herrera in favor of Eriberto Garcia. Herrera left the game; competing 3.2 innings while giving up six earned runs off eight hits. Sugar Land added three additional runs to the total in the fifth inning when Zawadzki hit his second home run of the season and added three RBI to his total when designated hitter Travis Scott and first baseman Delwyn Young scored. Left handed starter Roy Merritt received the win, his eighth of the season. He completed six innings and gave up five runs off six hits; taking his ERA to 2.99. Herrera received the loss. The Skeeters and the Ducks will continue their three-game series on Saturday, August 20 with a 6:05 p.m. CDT first pitch. RHP Brett Marshall (3-5, 4.70 ERA) is scheduled to take the mound for Sugar Land. The Duck will counter with RHP Nick Struck (1-3, 4.38 ERA). 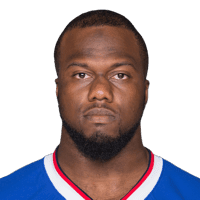 HOUSTON, TEXANS (August 16, 2016) The Houston Texas announced today, Tuesday, August 16, 2016, that they have signed defensive end 6-5, 301-pound Alex Carrington to the active roster. The free agent, who played his college football at Arkansas State, has six seasons of NFL experience. In 2015, he played on seven games for the Buffalo Bills and accounted for five solo tackles. In a career that saw him play five season for Buffalo (2010-2013, 2015) and a single season with St. Louis (2014), he has tallied 62 tackles, with 39 of them being solos along with four sacks. In addition, the Texans waived-injured rookie fullback SomaVainuku. The 24-year old 255-pounder played collegiality at Southern California. Sugar Land shuts out Lancaster 5-0 in Atlantic League baseball action. 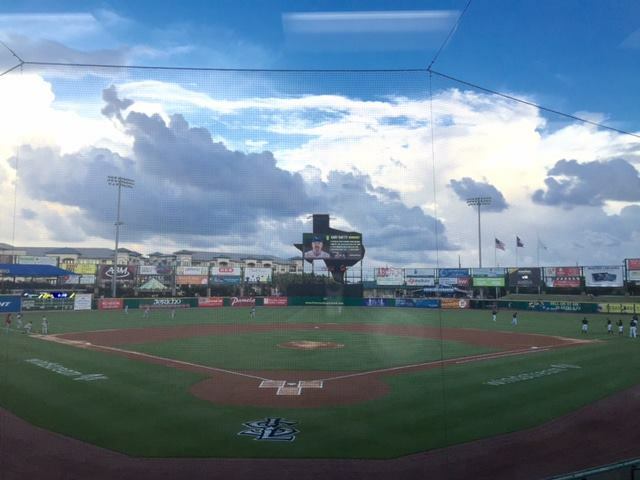 SUGAR LAND, TEXAS (August 15, 2016) After over a 90-minute rain delay, the Sugar Land Skeeters added to their two run lead and downed the Lancaster Barnstormers by the score of 5-0 at Constellation Field in Sugar Land, Texas on Monday, August 15, 2016. With the win, Sugar land moved to 23-15 in the second half of the season in the Freedom Division of the Atlantic League. They currently have a one and one-half game lead on the second place team, the York Revolution. The Skeeters scored two runs in the second inning and added three insurance runs in the eighth. Starting pitcher Brett Marshall received the win, hos third of the season while Lancaster starter Terry Doyle was credited with the loss; his sixth of the season. Rene Tosoni connected for his fifth home run of the season over the left field wall while Jeremy Barfield blasted a two-run shot to secure the win for Sugar Land. The Skeeters and Barnstormers will face off in the second game of their current series at 7:05 p.m. CDT on Tuesday, August 16, 2016 with right handed pitchers Jake Hale (5-2, 2.96 ERA) and Justin Jackson (1-0, 3.52 ERA) slated to take the mount. SAN FRANCISCO, CALIFORNIA (August 14, 2016) Scoring their first touchdown on a fumble recovery, the Houston Texans added two passing touchdown in the second half to down the San Francisco 49ers by the score of 24-13 on Sunday, August 14, 2016 in their first preseason game of 2016. Quarterback Tom Savage saw the most action in the game, completing 14-of-24 passes for 168 yards and two touchdowns. Brock Osweiler saw limited action, compete four passes for 27 yards. Akeem Hunt and Stephen Anderson each score touchdowns of 13 and 12 yards respectively in the air on their only catches of the evening. Kenny Hillard carried the ball 12 times for 40 yards, with an 11-yard romp his longest of the game. Lamar Miller rushed four times for 30 yards while Hunt carried the ball seven time for 13 yards. Defensively, Terrance Mitchell had seven tackles, five of them solos, while Eric Lee was credited with the only sack of the game for the Texans. Shane Lechler punted seven times, averaging 52.6 yards per punt while putting three punts inside the 20-yard line. You can see complete game stats for the Texans by clicking here. 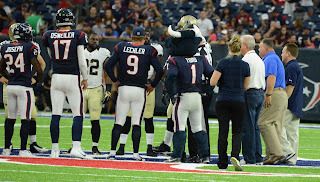 Houston was host the New Orleans Saints in pre-season game two on Saturday, August 20, 2016 at NRG Stadium. Kickoff is set for 7 p.m. CDT. HOUSTON, TEXAS (August 14, 2016) The Houston Dynamo, playing a man down in the second half, battled Toronto FC to a 1-all draw in Major League Soccer action at BBVA Compass Stadium in Houston on Sunday, August 14, 2016. The game was originally scheduled for Saturday, August 13; however, it was postponed to Sunday due to heavy rain and lightning in the Gulf Coast area. 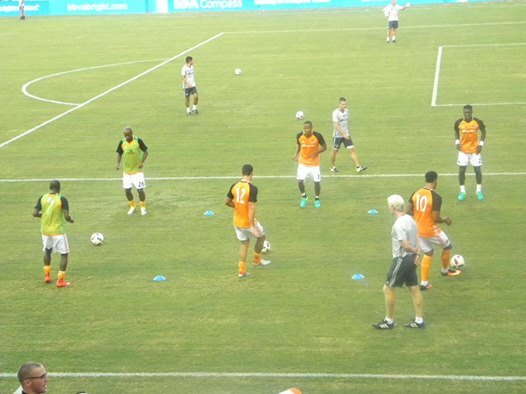 The Dynamo found pay dirt in the eighth minute when midfielder Cristian Maidana drives the ball down the right side and sent the ball into the goal from 10-meters out. It was his third goal of the season for Houston. 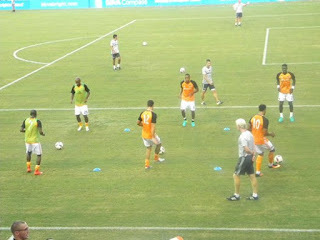 Forwards Mauro Manotas and Andrew Wenger were credited with the assist. Forward Jozy Altidore evened the score in the 24th minute when he got the ball from forward Sebastian Giovinco at the top of the penalty box and drilled it past Dynamo goalkeeper Joe Wills for his third goal of the season. In stoppage time of the first half, defender Abdoulie Mansally was issued a red card for pulling down Giovinco from behind. The sendoff was his first of the season. As a result of having to play the second half a man down, Houston interim head coach Wade Barrett pulled Wenger in favor of defender Raul Rodriguez. Even with the Dynamo playing the entire second half a man down, they managed to hold off the Toronto offense for the draw. Houston will travel to San Jose for an August 19 matchup before returning to Houston to face Seattle on Wednesday, August 24. RIO DE JANEIRO, BRAZIL (August 7, 2016) Former University of Houston diver Tania Cagnotto finally realized her Olympic dream by taking the silver medal in the women’s synchronized 3-meter springboard diving at the Games of the 32nd Olympiad in Rio de Janeiro, Brazil on August 7, 2016. The five-time Olympian from Italy combined with Francesca Dallape for the score of 313.83 points to earn the first Olympic medal for both divers. Cagnotto best finish in Olympic competition prior to Rio was fourth place in London 2012 in both the 3-meter springboard and the 3-meter synchronized springboard. She placed 18th in the 3-meter springboard in 2000 Sydney and eighth place in both the 3-meter springboard and 10-meter platform in Athens. In 2008 Beijing, she was fourth in the 3-meter springboard and tenth on the 10-meter platform. Cagnotto was eighth in the 3-meter springboard at the 2006 NCAA Championships for the University of Houston and earned All-America honors. The duo of China’s Shi Tingmao and Wu Minxia won the gold medal with the score of 345.60. Australia’s Maddison Keeney and Anabelle Smith took the bronze (299.19 points). Another vault. Another disaster. Another Olympic dream ended. RIO DE JANEIRO, BRAZIL (August 7, 2016) For the second time in four years, French gymnast Samir Ait Said's Olympic dreams came to a crash landing while vaulting. While attempting a double somersault off the vault at the Rio Olympic Arena on Saturday, August 6, 2016, Said landed forcefully on his right knee causing the tibia and fibuia bones in his calf to snap. Spectators and commentators have reported being able to hear the snap throughout the arena, while ultimately the world was watching and saw one of the most gruesome injuries in the sport on live television. Said laid silently in pain, covering his face, while his right leg dangled awkwardly. His coaches and teammates also covering their faces after seeing the 26-year-old's injury. Said is said to be "the friendliest teammate" by his fellow French gymnasts and his injury is a great loss to the whole team. Unfortunately, Said has been in this spot before. While preparing for the 2012 Olympics in London at the Men's European Championship in Montpellier, France, Said broke his left leg on a similar vault, ending that Olympic run. In a Facebook video posted by Said from his hospital bed, he vows to be back in the stands cheering on his teammates shortly while sporting a blue and red cast! In his video, Said is grateful for all the support fans and teammates are giving him and vows to win gold in Tokyo 2020. RIO DE JANEIRO, BRAZIL (August 6, 2016) Nineteen-year old Ginny Thrasher, a sophomore at West Virginia University, won the first gold medal awarded at the Games if the XXXI Olympiad in Rio de Janeiro, Brazil. Competing in the women’s 10-meter air rifle, Thrasher bested a competitive field with the score of 208.0. Thrasher downed China’s two-time gold medalist Li Du by a single point. Du’s teammate, Siling Yu earned the bronze medal. Thrasher’s teammate, American Sarah Scherer finished in eighth position. Thrasher, a native of Springfield, Virginia who attend West Springfield High School became the first freshman to win an NCAA title this past year. She began shooting five years ago. 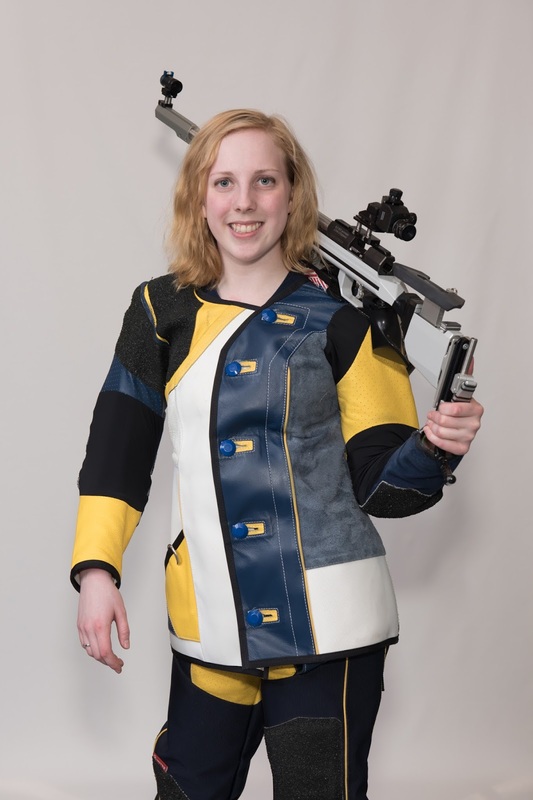 She will also compete in the 50-meter rifle, three position on Saturday, August 13, 2016.